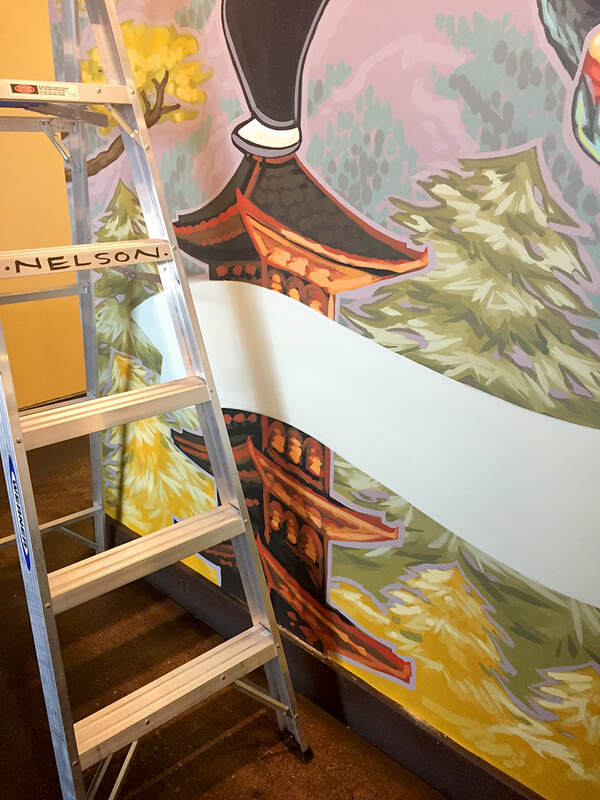 One of the most fun walls I've painted yet! 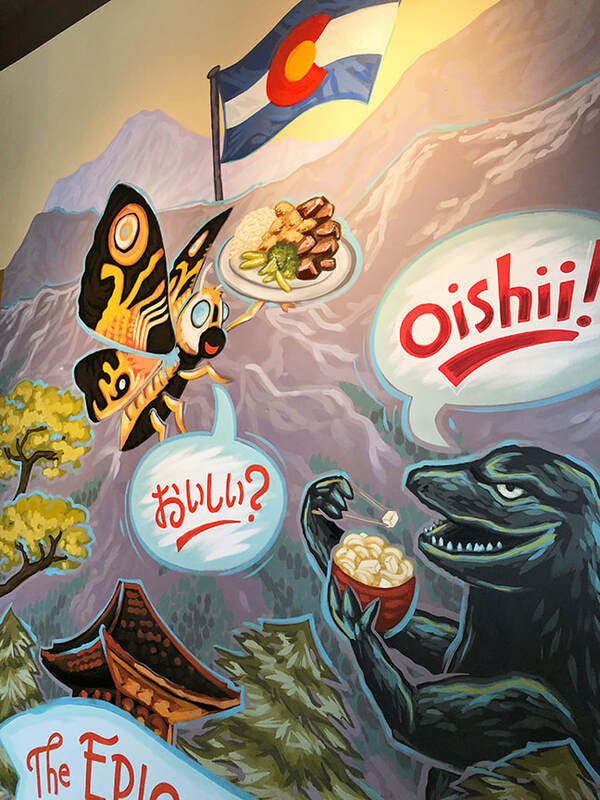 This is a Japan-meets-Colorado-hibachi-eatin'-Godzilla mural, also featuring the restaurant's beloved "Chef Boy" logo/mascot. 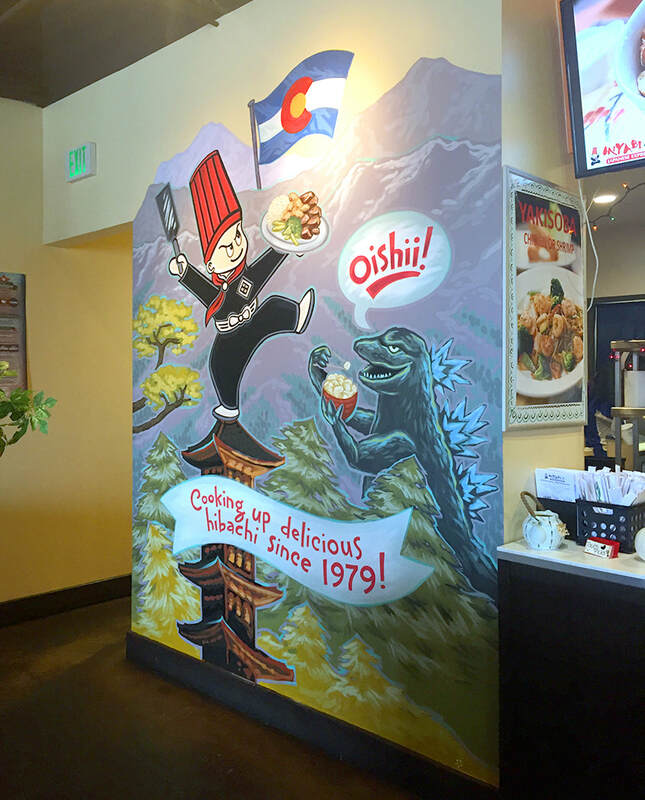 This was my third mural for Miyabi Jr. (fast-casual Japanese hibachi) just south of Denver. 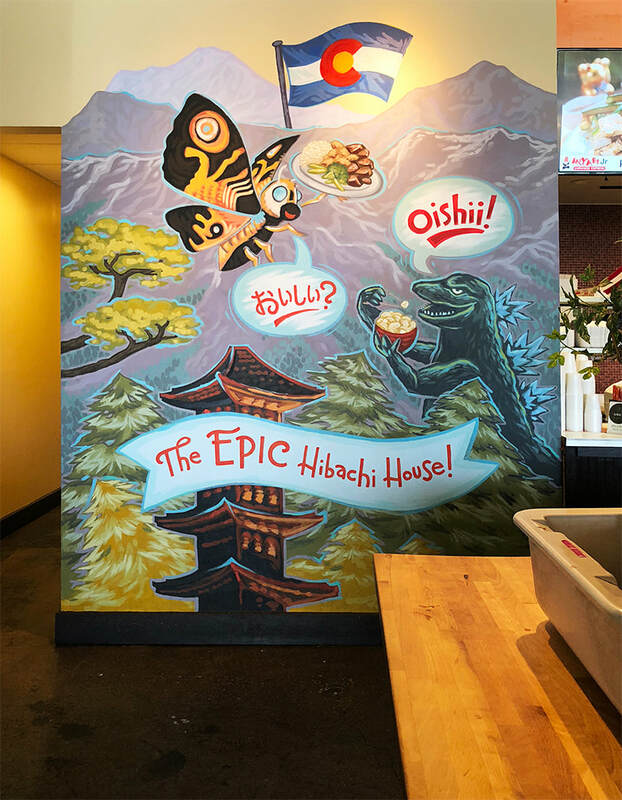 Many delicious bowls of miso soup, hibachi chicken and yakisoba were enjoyed in the making of this mural. 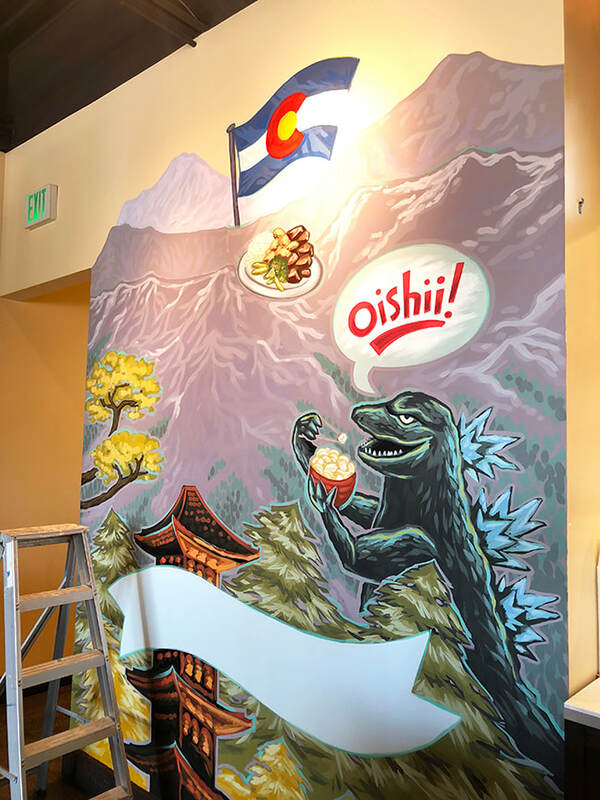 Any day I get to paint a Godzilla mural is a good day! Here's the wall after I've painted Chef Boy completely out of the scene. I considered positioning Mothra directly over Chef Boy, but figured it'd be easier to start fresh. 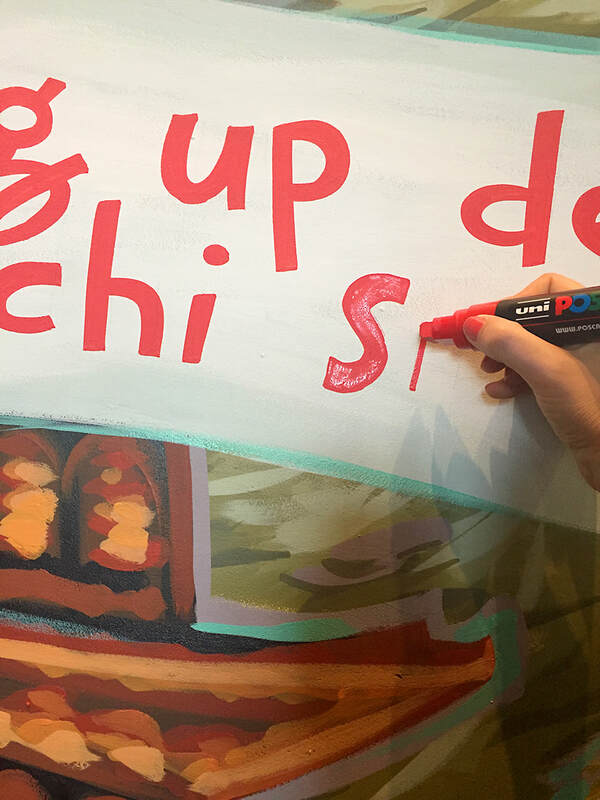 Matching the background colors with new paints wasn't as difficult as I imagined. Here's Mothra! 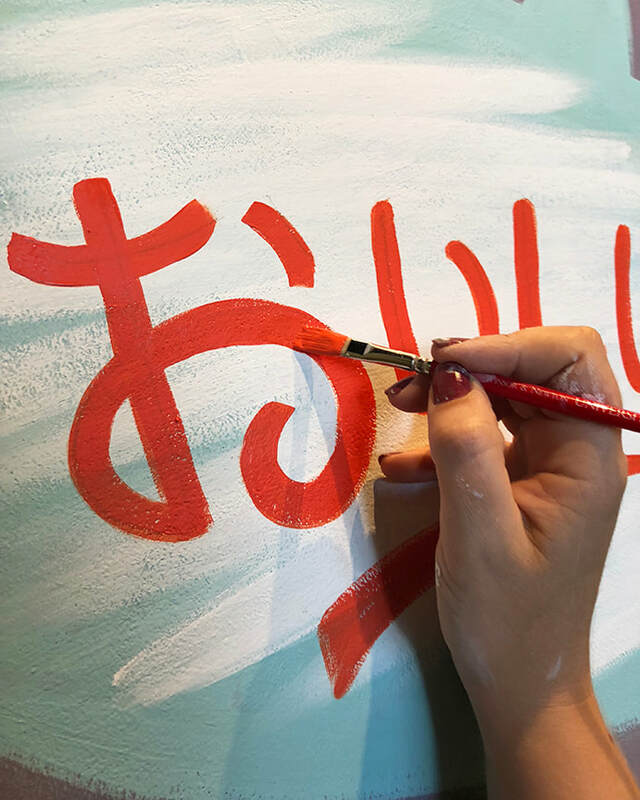 I was directed to paint her extra friendly. 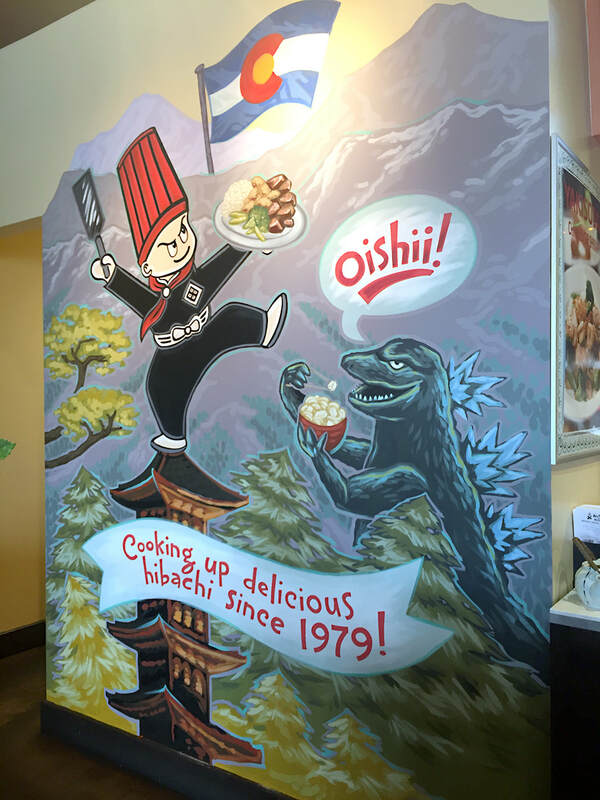 No children were to be frightened by the restaurant kaiju. I think the addition of Mothra really blends in just right. Even more colorful than before. My 'most epic' wall to date!